The Vegas Robaina Clasicos, discontinued in 2009, is a smooth and rich medium Lonsdale, 6.5” (165mm) long, of 42 ring gauge, and comes in a 25 cigars box. These are aged cigars. The most representative of medium formats couldn't be omitted from this new brand. Excellent in all respects, it is distinguished for medium-to-strong flavor, the selection of its leaves and the magnificent wrapper. A Habano that is going to be included among the best. 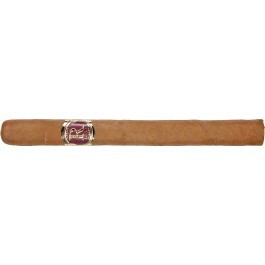 A discreet cigar with floral hints like all the Vegas Robaina line. An afternoon cigar never aggressive and delivering subtle aromas.